The sale volume is high and we have sales tax returns to prove the numbers. So based on the monthly sale volume of approximately $58,000 this restaurant should be able to make a good profit for a knowledgable opertor. This family restaurant is well known in the community as the place to bring the family in for breakfast, go to for a tasty salad or sandwich for lunch or a nice hearty meal for dinner. 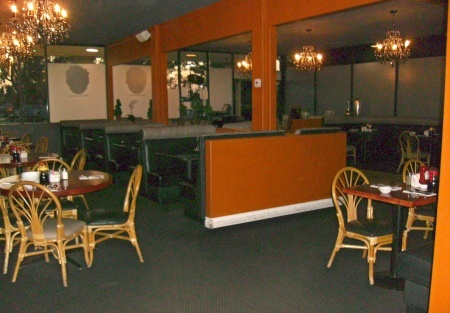 The many dinning booths make for a comfortable and cozy dinning experience. The menu is mostly American comfort food with a some room to bring your favorite dishes in to add to the selection. There is a seperate bar area with big screen TV's to watch the days sporting events and relax with your favorite cocktail or beer and tasty appitizer. Owner has plenty of income from other sources and is looking to spend more time with family and community. Great demographics with good income of local residents. For more information and to see pictures and get address for this restaurant please click one of the buttons to the left , sign online confidential agreement then come and visit this restaurant and see if it is not exactly what you were looking for.